With Clean & Clear Essentials, Getting Clean, Clear Skin Is Easy as 1-2-3. 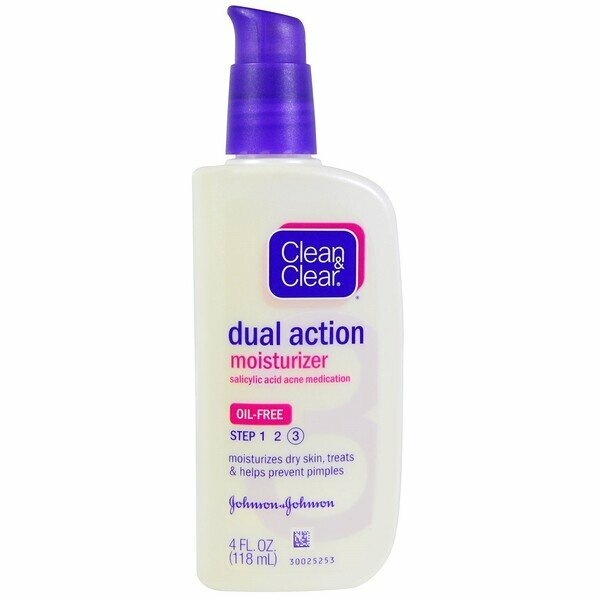 The final step in your healthy skin routine, Dual Action Moisturizer combines oil-free moisturizers with a proven pimple-fighting ingredient. 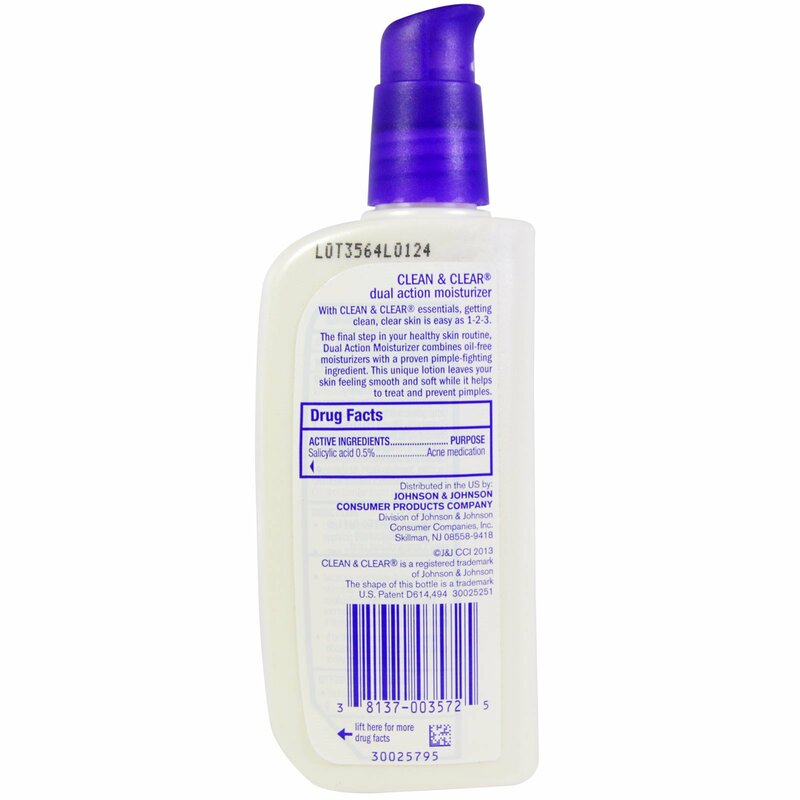 This unique lotion leaves your skin feeling smooth and soft while it helps to treat and prevent pimples. Inactive ingredients: Water, dicaprylyl ether, cetearyl alcohol, glycerin, neopentyl glycol diethylhexanoate, dimethicone, methyl gluceth-20, menthyl lactate, aluminum starch octenylsuccinate, ceteth-10 phosphate, dicetyl phosphate, steareth-20, sodium hydroxide, steareth-2, fragrance, neopentyl glycol dilisostearate, hydrogenated lecithin, xanthan gum, magnesium aluminum silicate, disodium EDTA, BHT. Rinse right away with water if it gets in eyes. Keep out of reach of children. If swallowed, get medical help or contact a Poison Control Center right away.